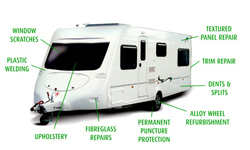 Welcome to PK Caravans a Motorhome and Caravan Repairs and Servicing in Malvern, Worcestershire offering you a friendly service at home, in storage, or on site covering the 3 counties of Worcestershire, Herefordshire and Gloucestershire. .
Motorhome & Caravan Repairs and Servicing in Malvern, Worcestershire. PK Caravans offers a friendly service at home, in storage, or on site. We cover the 3 counties of Worcestershire, Herefordshire and Gloucestershire. We are a family-run business that has been in the industry since 1998 and we endeavour to offer a high quality service. 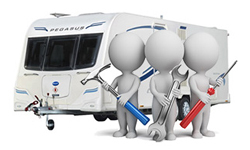 We have a fully qualified and experienced caravan engineer dedicated to providing a friendly high quality service to all our customers, also manufacture trained since 1998. Since 2008, we have achieved approved mobile workshop status and we continue to train and meet the relevant standards that are required in order to meet NCC approval. If you would like to find out more about PK Caravans and the services we offer, why not contact us today?